If you're interested in working with HUD REO properties and buyers who need FHA financing, you may come across appraiser-required conditions to perform lead-based repairs. The only time lead-based repairs are required for an FHA-financed HUD REO property is when the property was built prior to 1978. 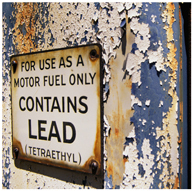 Lead-based paint removal, however, falls under EPA regulations. A contractor or investor may cure the paint issues, but an FHA underwriter will require a copy of the contractor's Certificate of Completion from an EPA or state provided lead-based paint training program. Repairs completed by owner-occupants do not require this training certificate, but do require documentation of the repairs. And remember, the FHA appraiser's final inspection will only certify the repairs are completed, not that they were performed according to EPA guidelines. This rule is required by FHA because renovation, repair, and painting activities such as cutting and sanding can disturb lead-based paint, creating hazardous lead dust, which even in small amounts, is enough to poison children and put adults at risk. Don't forget to let your renovation-minded clients know!